You’ve heard of spring cleaning, right? It’s time to give your home the same treatment in fall. Getting your home in shipshape for the winter with a fall cleaning spree is becoming an increasingly popular practice. If you want to get on board but aren’t sure where to start, grab this handy checklist, which will jog your memory about such annoying tasks as cleaning windows and walls, dusting ceiling fixtures, sweeping your chimney, and airing your draperies, among other exciting activities. Not quite there yet? There’s still plenty else to hold your attention. You most likely know that vinegar can provide handy cleaning services, but I betcha don’t know how much it can do. The video above shares some vinegar life hacks everyone should know to help avoid toxic cleaning products. For instance, did you know you can unclog and clear drains with a mixture of ½ cup baking soda and 1 cup vinegar? Like grade-school volcanoes, much bubbles and excitement will ensue, in addition to shiny, clean drainpipes. My personal favorite trick is to clean cookware, since mine perpetually has caked-on grease stains. 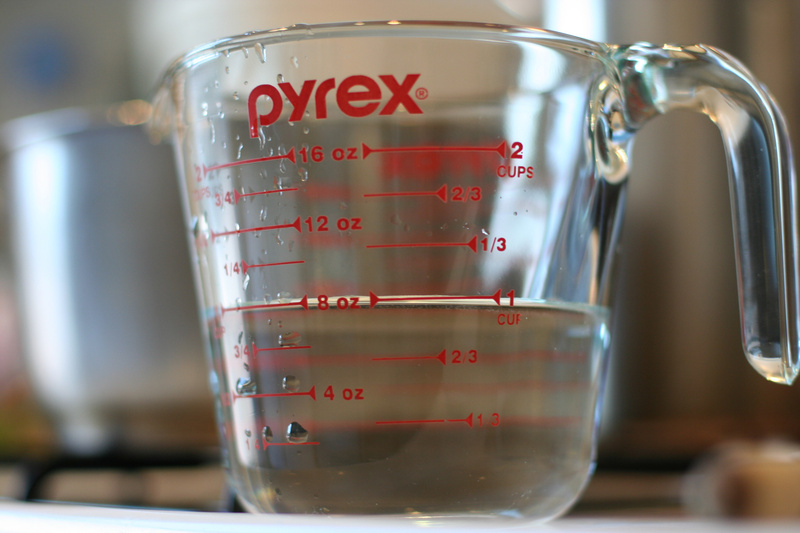 Simply boil a 1-to-1 mixture of vinegar and water on the stovetop for a few minutes in the cookware that needs cleaning. Warning: DO NOT DO THIS WITH CAST IRON, or you’ll remove that precious seasoning. If maintaining cast iron cookware is on your fall-cleaning list, find out how to do it here. 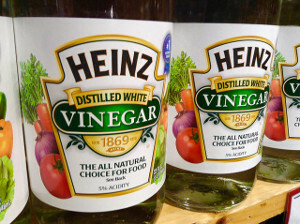 Vinegar is one of nature’s miracles, mainly because it can effectively clean pretty much everything in your house. Grab a couple of big bottles of distilled white vinegar and tackle the fall cleaning projects above. Enjoy your clean home, and then keep vinegar and other natural cleaners around to tackle and mess you might have.